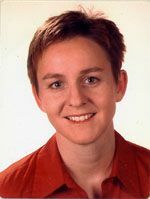 Anette Haas studied economics at the University of Regensburg, specializing in regional and municipal economics, econometrics and empirical macroeconomics. She obtained her degree in 1996 (Diplomvolkswirtin). From 1994 to 1995 Ms Haas undertook a course of study abroad at the University of Saragossa in Spain under the Erasmus Programme. She has been working as a researcher at the IAB since 1997.